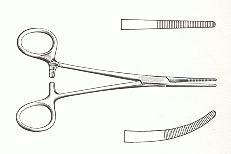 Minor cosmetic flaws that do not effect the use of the instrument as a scissors. A terrific opportunity to get a good quality stainless steel instrument for general use. Curved version also available. 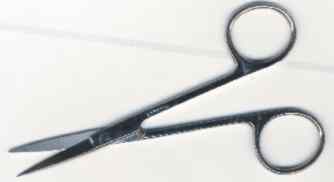 Mayo Dissection Scissors are available in curved or straight, 5-1/2" and 6-3/4" sizes. Imported. 2nd means has surface flaws that do not affect functionality, or are simply disposable grade which means not recommended for an autoclave. Use alcohol to clean. Stainless steel.